Annuities offer your clients a foundation for fortune gathering and transfer. Retirement protection adds to the many benefits offered by this type of insurance. Clients must deposit money into the annuity plan for a prearranged period. After this, on a specified date, they will start receiving regular payments for a fixed time period. Annuities are a guaranteed, stable means of income unlike mutual funds, bonds or stocks. Also, annuities are an excellent stream for supplemental source of income for the people who think that their social security profits will be inadequate to sustain them. Moreover, annuities carry high tax benefits. The annuity sum has a tax deferred growth until any withdrawals are made and after withdrawal only the profits on annuity are taxed. Forethought Life Annuity offers clients an ascended potential for growth. It also provides protection with regard to market-risks. Annuities are the sole products in the insurance market that guarantee an income flow for your future life. Sentinel Life Personal Choice Annuity is a multi-option solution for a custom annuity. With a choice of riders and market value adjustment (MVA), the policyholder can choose a customized annuity that suits their own personal requirements. UOO is a unit of the MOO family of companies. UOO is one of the most popular and financially strong products in the market. 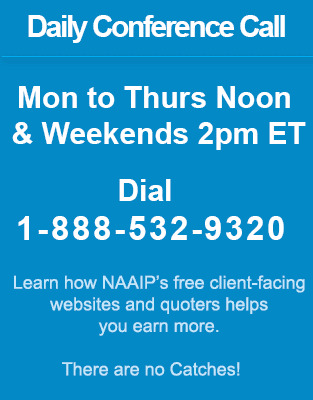 Additionality NAAIP offers agent contracting for the UOO Ultra Income single premium immediate annuity and the UOO Ultra Secure Plus single premium deferred annuity.